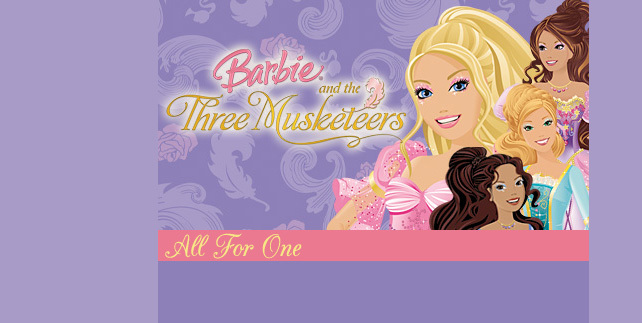 Welcome to All For One, the approved fanlisting for the Barbie animated movie, Barbie and the Three Musketeers. This is the latest film in the Barbie film series, released in September of 2009. If you are a fan of this fun, funny, and lovely animated film, feel free to browse and join this fanlisting.